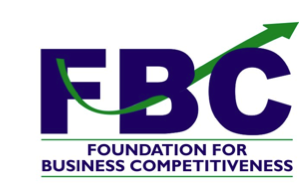 Launch of Foundation for Business Competitiveness Foundation for business competitiveness is founded by 12 consultants representing multi functional areas in different sectors ranging from auto components, dies and molds, castings and forgings to agri and food processing. The sole objective of this foundation is to build capacity and hand hold small, medium and large enterprise to gain competitive advantage for exports as well as for domestic markets. All these 12 consultants are being exhaustively trained by CBI ( A Government of Netherlands initiative to develop imports from developing countries to EU) under a joint initiative with various stakeholders like Ministry of Commerce, DSIR and CII. Today the Foundation for Business Competitiveness is launched with a One day workshop at Hotel The Leela Palace, Chanakyapuri on the most talked about topic of “ Combatting China : The Strategic approach” . Mr Vinod Sharma President, FBC orchestrated the workshop by showcasing a distinctive strategic model of The magic pallet for winning over and moving up the ladder the global value chain. This workshop was attended by the participants from corporate sector, Business support organizations like ELCINA, FISME, CII, EFY and ACMA. The vision of the foundation is “Enhancing organizational competence to sustainably serve high value markets by application of innovative tools backed by high quality research. “FBC has its core values namely : Inspire by knowledge, commit with care and deliver with integrity”. The foundation has a three dimensional approach of supporting the enterprise, industry and sector improve its competitiveness through diagnostics , training and advisory . 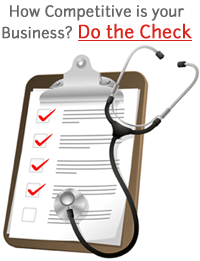 It has a large inventory of tools and training with regular updates on market, industry, competition and products in a few select sectors through the knowledge base at the website www.fbc-india.org. The foundation has also plans to conduct some sectorial and cluster analysis apart from regular international market research to deliver global class Market intelligence products to the registered clients.